$670BN Payments Industry to Bear Fruit for Aussie Rising Star? This company stands alone as the only ASX listed company deploying ATMs in Australia – and it has just set the scene for a heady few months. The company captures the whole value chain of the ubiquitous cash machines that you see everywhere – from their manufacture to deployment. By taking a clip on every transaction, this company generates long term, recurring revenue from its 113 ATMs across Australia, facilitating 830,000 transactions per year. This little known stock is capped at just $6.7M right now – but with revenue up 840% on 2014, and a record 7 th month of growth registered, it may not stay this way for long. The company is not stopping at purely ATMs – its set in motion a series of new products to be launched which have the potential to unlock rapid growth for the company. Firstly, the company is capturing the payWave trend, after signing a 5 year wholesale EFTPOS/payWave agreement signed with the world’s leading payment processing company. Finally, this company’s latest product launch empowers ATM users to not only withdraw money from their accounts, but also to deposit money just as easily. And here’s the rub – customers can withdraw funds that previous customers have deposited. In effect, this company will enable bank-telling to become a fully automated enterprise when it launches its ‘Recycler ATMs’ later this year – saving millions for companies (and banks) currently burdened with astronomic ATM maintenance fees reaching $600M+ per year. It’s early days for this small ASX stock – and success is by no means a guarantee here. 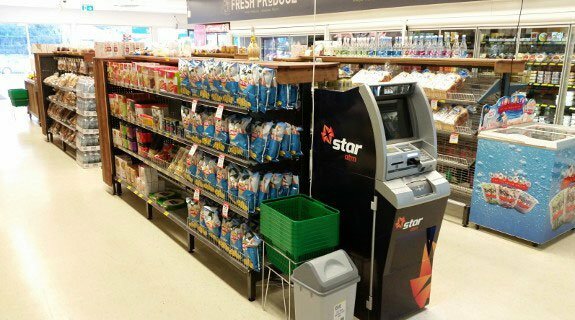 Presently, Star Payment Systems (ASX:STL) is the only ASX-listed company providing ATM and EFTPOS solutions for its customers. The global payments industry has seen a lot of consolidation in recent years with the biggest name emerging from Canada – a company called DirectCash Payments Inc. (TSX:DCI), currently capped at $263M. DCI is currently the largest ATM deployment company in the Australian market after buying out Ezeatm (ASX:EZA) for $14M in 2014 at a multiple of approximately 6x EBTIDA. This was in addition to previous acquisition 2 years earlier, where DCI bought Customers Ltd (ASX:CUS) for $173M. $6.7M-capped STL however is an upstart in comparison but all that could change given recent developments in STL’s activities. Last month, STL merged with iCash Payment Systems (ASX:ICP) and raised $3M as part of the merger. The combination of these two highly complementary businesses has created a unique, vertically-integrated ATM deployment company poised for significant growth. STL is now the only ASX listed company deploying ATM machines in Australia and importantly, the only listed ATM company with direct ownership in the manufacturer (NeoICP) of its ATM technologies. All of STL’s hardware technology is sourced from NeoICP – the largest ATM manufacturer in South Korea with around 80% market share. Since 2013, STL has been piecing together its market strategy focusing on becoming a fully integrated payment systems company with results now bearing fruit. One very synergetic aspect for STL is its symbiotic relationship with NeoICP. Both companies retain a significant stake in each other; STL owns 19% of NeoICP while NeoICP owns 12% of STL. This close-collaborative model allows STL to reduce its cost-structure by around 30% and saves the company $1.1M in capital expenditure. This directly supports the bottom line. Lower hardware costs also opens the door for STL to revisit previously unprofitable installation sites and means previously unviable locations are now back up for grabs. 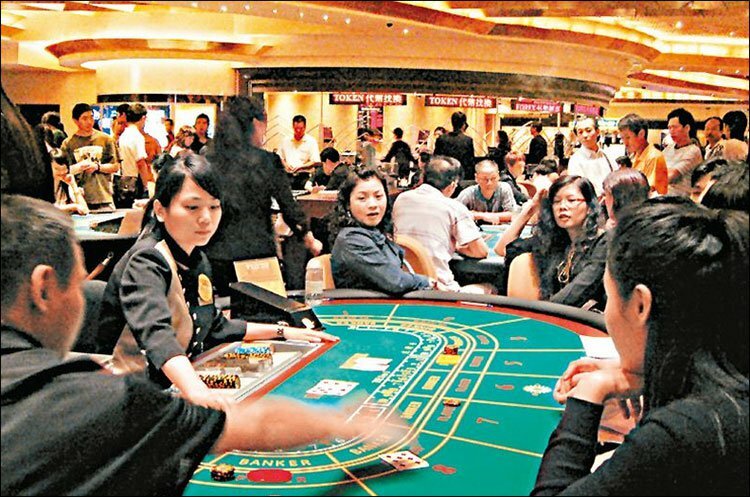 STL’s potential could extend further if NeoICP successfully pilot trials its payments technology in Macau’s casinos – the 2 nd largest gambling hot-spot in the world. But more on that later. In the next section, let’s a take a detailed look at what STL is all about. Distributing and maintaining ATM’s can bring in significant revenue and here’s how it breaks down. STL’s network of 100+ ATM’s bring in around 600 transactions per month per machine. STL charges customers $2.50 per withdrawal and collects around $0.80 from each transaction after costs. STL is aiming to generate around $300-400 per machine per month. STL’s gross revenue for 2015 is forecast to be $1.5M, an 840% increase on 2014. In 2016, STL expects to generate $4.5M. Currently capped at $8M that translates to only 1x gross annual revenue – an attractive entry point for anyone starry eyed. It is early days however, and there is no guarantee the strong revenue growth will continue, so investors should consider with caution. Its true value comes not only from its financials and profitability but more so from its integration of the entire ATM supply chain. 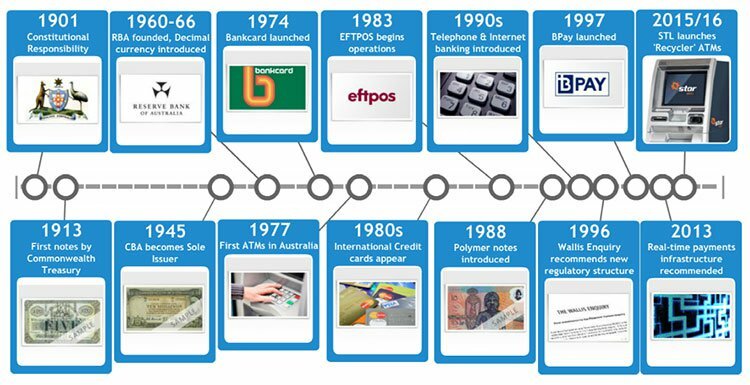 As we indicated above, STL is the only ATM deployment company in Australia with a direct ownership of its manufacturer. This creates huge synergies and reduces overall cost. Sales revenues from ATMs and ATM related software increased 2,187% on a YTD comparison from 2014 to 2015. This is further evidence that the local Aussie market has embraced the NeoICP CashPod brand of ATM machine. STL sources its technology from NeoICP and is the exclusive distributor of the popular cashPod ATM machine (including software) in Australia. Now, the lucrative differentiator for STL is about to come online, in the form of brand new ‘Recycler’ ATM machines, to be certified and rolled out across Australia later this year. Users are able to withdraw funds (standard feature for any ATM machine), deposit funds (currently a cumbersome process only allowed at bank branches in Australia), and most disruptively of all, cash which when deposited is automatically verified, calculated and made available for withdrawal for the next customer. This 2.0 level of ATM machine has the potential to terraform high streets across the globe. Customers no longer have to attend a branch to deposit their money – which is an excellent solution to the problem of branch closures in many rural communities. The actual vendor or branch that maintains the ATM machine is also able to cut servicing fees because each ATM machine does not need refilling as much. Some ATM’s operate perpetually for weeks at a time because the amount of withdrawals never exceeds the amount of deposits. We think this technology could be adopted en masse by the top four banks as they already spend hundreds of millions to service, maintain, refill and replace their sprawling ATM networks that collectively cost in excess of $600M each year to maintain. Just recently, Australia’s Commonwealth Bank said it made $54M per year in revenue from ATM fees, while it cost $160M to maintain its network. The irony is that the $600M it costs banks to maintain their ATM’s is being passed on directly to customers who pay for it via $2 surcharges when using an ATM belonging to a bank other than your own. STL could potentially be tasked with helping banks improve their ATM networks in order to save all that unnecessary expenditure – and make a tidy profit at the same time. For STL, its Recycler ATMs could also be a hit in rural communities where banking facilities are often non-existent to begin with. Customers will be able to deposit and withdraw funds from their accounts for the first time without using a Post-Office or sending a cheque via post. That’s a fantastic social improvement that can not only be commercialised but also used as a stepping stone in future. Star bank accounts? 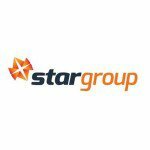 Star international money transfers? Star savings accounts? The potential is infinite. ATM machines provide a good bread and butter business model for STL. But as we move towards a cashless society, new functionalities are required to maintain their relevance. This is where STL’s StarPOS diversifier can have an impact. 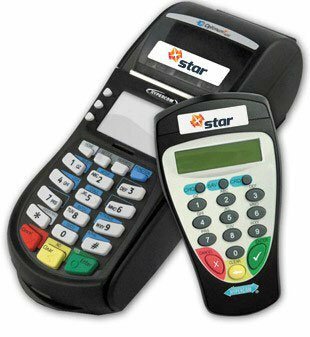 StarPOS is an STL subsidiary that provides EFTPOS and payWave solutions to businesses. Earlier this year, STL signed a leveraged wholesale agreement with Visa and MasterCard enabling it to roll out its very own EFTPOS machines to its customers. With the ink on the agreement barely dry, STL is already bringing its hardware to customers and we should see firm revenue figures later this year. STL has successfully completed a soft pilot of its StarPOS technology and commenced training for its sales agents, whilst distributing hardware to customers. Terminals used in crowded areas or at premium venues can generate over $2M per year. That translates to $50,000 to $170,000 in annual revenue for STL – from just one terminal. The payments industry and its technologies have come a long way. With digital forms of payments only starting to become ubiquitous in the 1990’s, today’s technologies are a leap ahead. Here’s a brief timeline with STL’s latest development really highlighting how far we’ve come. Australia’s payments market has progressed from basic currency exchange to sophisticated modern digital payment methods. STL is at the forefront of this modernisation with its world-first Recycler ATMs to be launched later this year or in 2016. No matter how well any economy is doing, its citizens will always require access to cash and will always want the ability to pay for goods and services in the most efficient manner possible – and STL can certainly assist. The premise behind STL’s business case is to provide the hardware/software to allow its customers to provide the most efficient payments services to end-users. According to the Reserve Bank of Australia (RBA), Australia sports around 890,000 active EFTPOS terminals and approximately 32,000 ATMs. Around half are offered by the banks themselves with the other half by credit unions and companies like STL. It’s clear that access to cash and making payments has been on the rise throughout the past 10 years – a period of history now synonymous with the global financial crisis (GFC). For STL, this paints a superb picture as the more money there is in circulation, the more likely it is to be used to pay for goods and services or be deposited/withdrawn. STL’s market niche is so compelling because it’s likely to benefit from established trends in consumer spending habits – that more or less strife adverse effects in the broader economy. In Australia alone, customers withdraw in excess of $11BN each month, and STL makes its money by charging a small fee for each transaction. The same applies for its EFTPOS business, although the commission fee is smaller. One key aspect we like to look for at The Next Small Cap when considering a stock, is whether its current management team has had previous success in similar business ventures. In the case of STL we found exactly what we were looking for. STL’s current CEO Todd Zani led the listing of ASX-listed Ezeatm (ASX:EZA) in 2011. 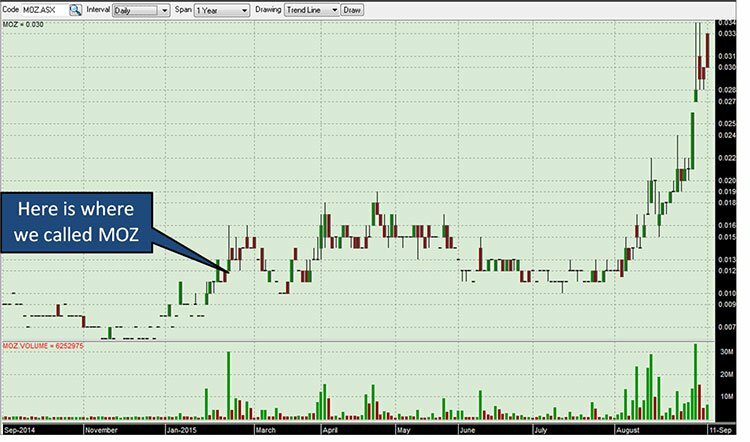 It’s worth mentioning this float was the 3 rd most successful on the ASX that year, coming in 2x oversubscribed. Mr. Zani then oversaw an increase in Ezeatm’s market cap from $4M in 2011 to $34M in 2012. Now holding the reigns at STL, we think we may have found the perfect jockey to guide STL past the post. STL is the only ATM deployment company that has a direct ownership interest in the manufacturer of the ATMs that it deploys. Armed with a 5 year exclusive distribution agreement with NeolCP combined with a wholesale agreement with Visa/Mastercard, STL can tackle the Payments sector head on. Smaller, unlisted ATM operators could also be potential takeover targets for STL because its business model is scalable with no additional capex required. Any new acquisition would simply be adding revenue to STL’s bottom line. Beyond Australia, STL can move into other territories fairly quickly. Its future territories for expansion could potentially be developing countries as they undergo rapid improvements in their financial systems and networks. However its early days for STL, there is no guarantee that the company will grow to such a size. It’s likely that countries like China, India and Russia will see their payment settlement revenues increase much like they did in developed countries since the 1980’s. 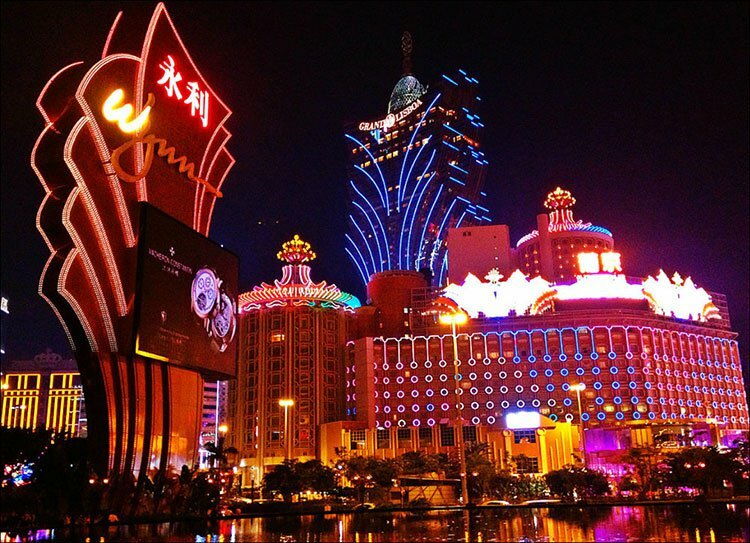 STL’s hardware supplier (NeoICP) is currently trialling its sophisticated technology in Macau’s largest casinos to gauge how casinos can benefit from automated payment settlements. One clear benefit for casinos is that by installing Recycler technology underneath gaming tables enables the casino’s operators to have precise, live accounting of all tables in the casino. This saves the casino money because tables have to be managed less and closed for a smaller time as cash settlement doesn’t have to be done manually. Combine that with the fact that casino patrons tend to be far thriftier with their withdrawals and spending compared to standard customers at bars and restaurants. By installing its machines in casinos, STL could see revenues per machine rise significantly. To sum up, STL is the only vertically integrated ATM provider with a stake in the hardware manufacturing of its machines. The company has disruptive technology in the pipeline and could potentially transform how people access their money. After establishing key partners, it is now uniquely positioned to become a leader in the payment systems services sector.